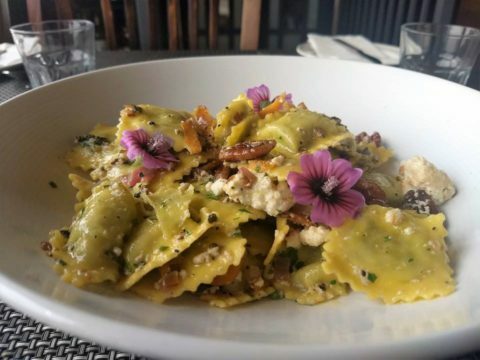 End of winter and early spring time is an ideal time for the blooming of several wild plants, amongst which is the borage, found in different habitats along Dingli Cliffs. The Borage (Fidloqqom, Borago officinalis) is easily recognisable by its edible, bright blue star-shaped flowers. Being indigenous to the Mediterranean and Central Europe, this plant blooms from January to May. Sometimes, one may encounter whitish or pink flowering borage plants. The Latin name ‘Borage’ could be related to the cordial effects brought by the Borage through its medicinal properties, or from the Italian word ‘borra’ because the whole plant is covered by short hair. Both flowers and leaves are edible. The leaves are quite hairy and tough, but when cooked, the texture becomes smooth, similar to those of the spinach. It is a good source of Vitamin A, Vitamin C, Zinc, Magnesium and Potassium. In traditional Maltese medicinal practices, the flowers were used to treat coughs. 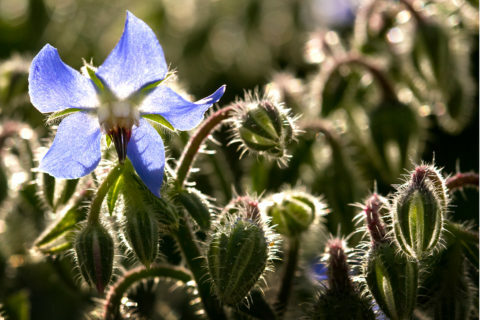 Other benefits of the borage include its diuretic, tonic, emollient, expectorant and anti-inflammatory properties. Borage oil, extracted from the seeds is used for skin disorders, rheumatoid arthritis, stress, diabetes and for the prevention of heart disease. In the past, Maltese spring multiflora honey used to be produced from the nectar of borage flowers, amongst other plants.